If you have lost or misplaced your white card, you will need to complete a Statutory Declaration stating that you have lost/misplaced your white card. 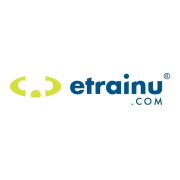 If you did not complete your training with etrainu you will also need to provide a copy of your Statement of Attainment from the Registered Training Organisation (RTO) you completed the course with. There is also a reissue fee of $40.00. The Statutory Declaration and a copy of your Statement of Attainment will need to be certified by an Australian Justice of Peace or Commissioner for Declaration. This will then need to be returned to us via email of post along with the payment.